That’s right, two new posts so far this week! I’m going to call this a good omen for things to come. 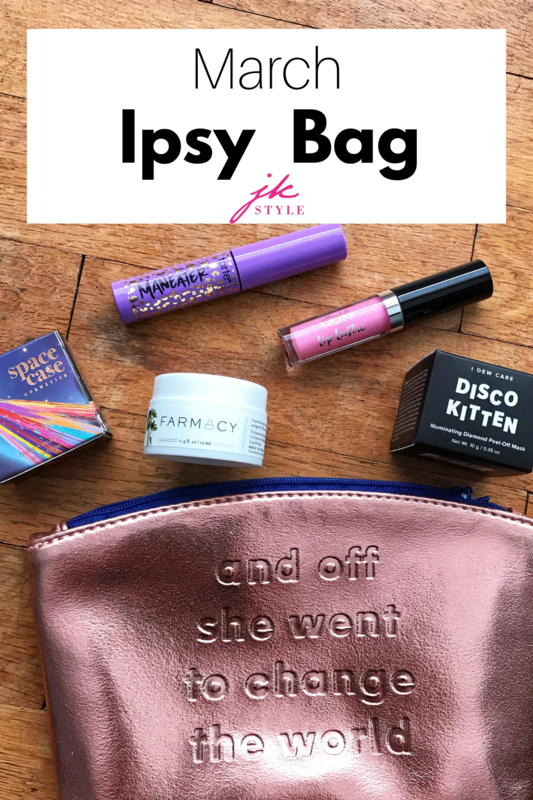 I couldn’t wait to share my March Ipsy review with you, this was a really good bag! 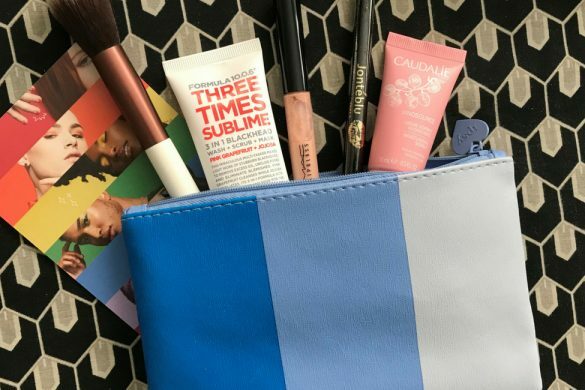 First though, tell me, if you’ve tried a beauty subscription, which is your favorite? 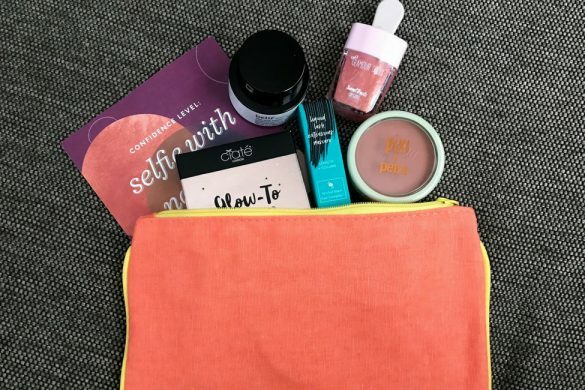 I’ve tried several over the years and currently only get Ipsy and the Allure Beauty Box. That’s not to say those are the only good ones, I just needed to narrow down all the stuff I get each month! 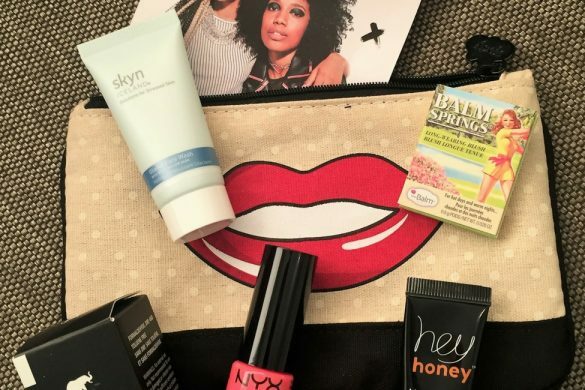 OK, now, back to the March bag! It’s a good one! 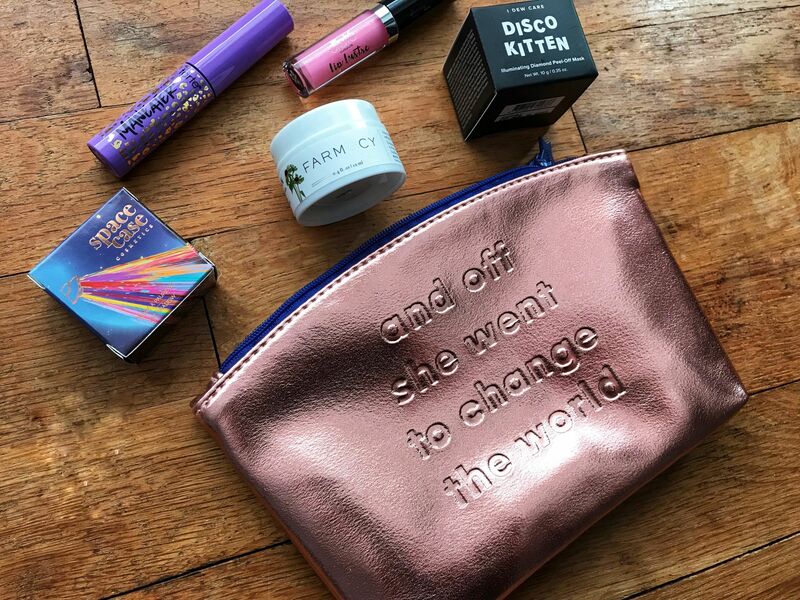 To celebrate National Women’s History Month, this month’s bag was full of products from female-founded brands and what they call “girl boss staples”. 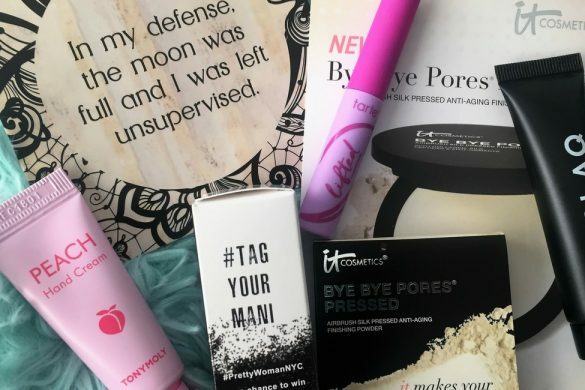 I’m embarrassed to admit that I have never really taken much time to research the products I use. 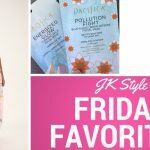 I admire people who look to find products that are ethically sourced and/or “green”, and I want to be better about that. Learning about the brands I use and about the owners of these companies will be a good start. 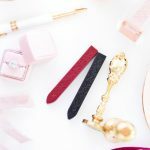 I’m all for supporting female business owners! 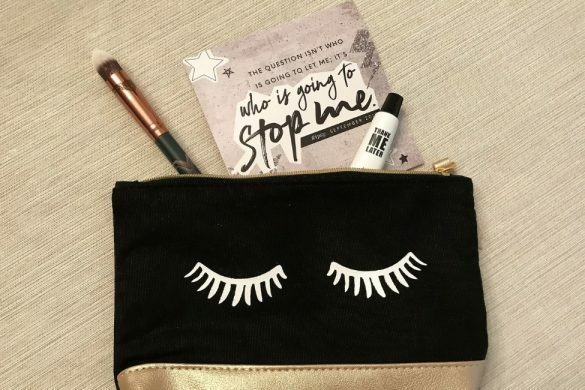 Tarte Maneater Voluptuous Mascara – I’ve heard about this mascara for a long time and am excited to try it out for myself! It’s got ingredients to help strengthen lashes as well as preventing flaking so we’ll see how it stands up! Ciate London Mini Lip Lustre in Kiss Me – at first glance this gloss looks pink-ier than I’d normally choose for myself but it’s sheer and you can layer it it deepen the color. Space Case Eyeshadow in Alien Love Child– so I saw the color of this shadow before I saw the name, but I’ve got to say, it’s pretty fitting, ha! 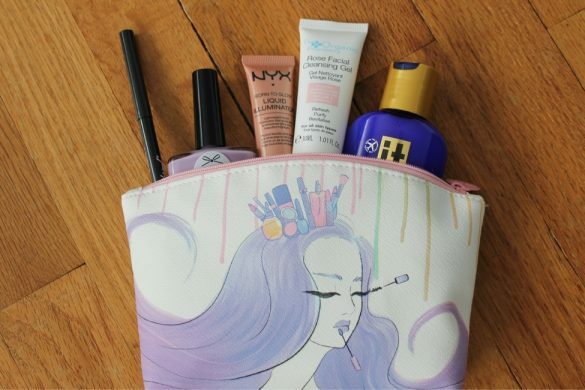 It’s a cool lavender/blue/holographic looking color that might be fun to play with this summer! 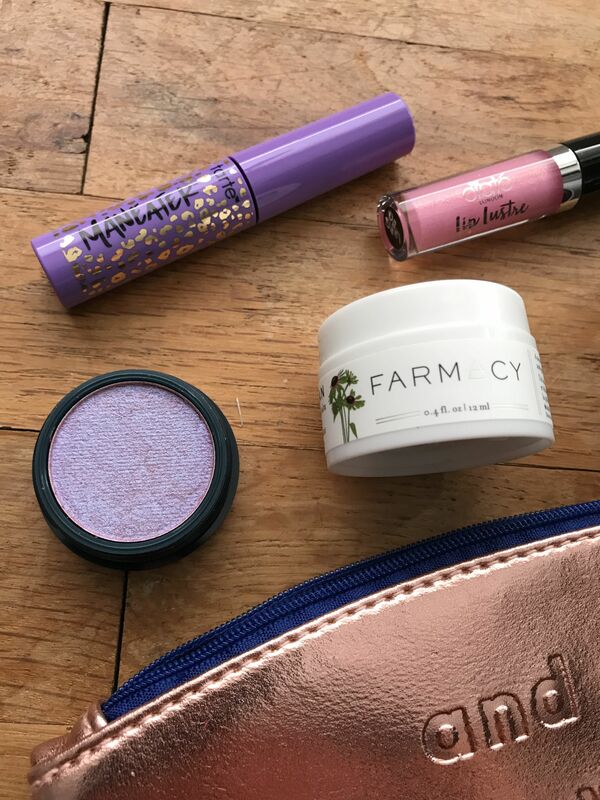 Farmacy Green Cleaning Makeup Meltaway Cleansing Balm– I’m really starting to prefer cleansing oils and balms to traditional cleansers and I know this brand has a good reputation. I Dew Care Disco Kitten Illuminating Diamond Peel Off Mask – Another great name! I couldn’t resist trying this mask right away. It’s got pearl powder to exfoliate, diamond powder to brighten, and oat to keep skin healthy. Another bonus? If you get satisfaction from things like peeling glue off your hands, you’re gonna love this. 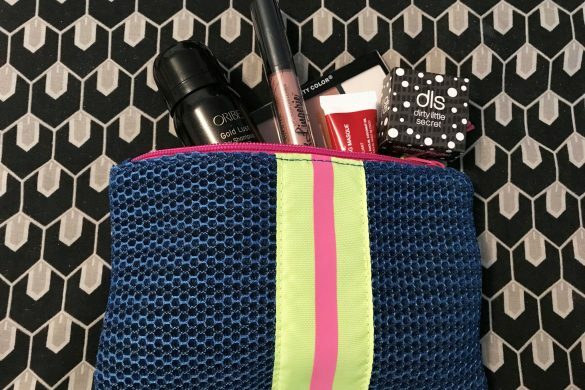 That’s a look at my March Ipsy bag! If you subscribe, what did you get this month? 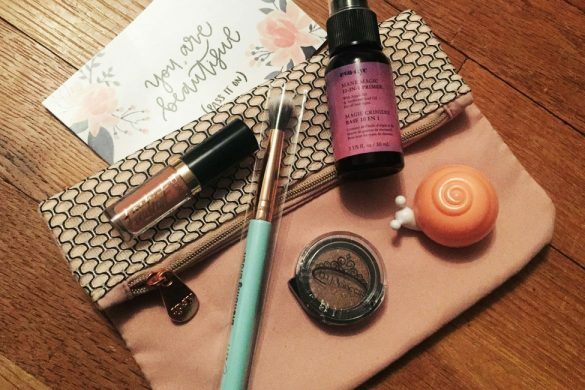 If you want to subscribe, you can get this monthly beauty bag for just $10 a month!